The strength of Tyro Remotes lies in offering customer-specific remote controls that not only differ in appearance, but also in software and hardware. 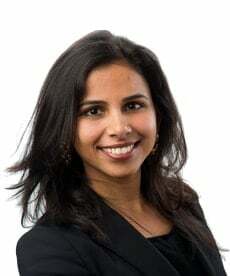 Tyro Remotes has its own development team that, together with the production facility in the Netherlands, can operate very quickly to meet customers' needs. Each region has its own peculiarities. There is strong demand for industrial radio remote controls for winches in forestry in Germany, Austria and France. Customers from different regions have a variety of needs that are met intelligently and quickly by our sales team. 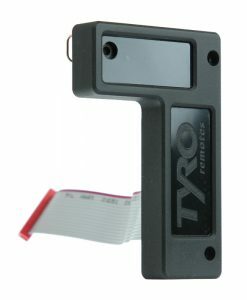 As a specialist in industrial remote controls, Tyro Remotes is the right partner for your installation or machine. Whether you are looking for a 2-channel remote or one with over 200 functions. The Industrial remote controls for axle control use high-performance Tyro radio technology allowing for remote control of vehicles. This means increased safety and ease of use for your company. For natural barriers in agriculture, Tyro Remotes has developed a signal repeater for remote controls. With the help of these repeaters, the radio waves can circumvent these obstacles. Even in an open field, the repeater facilitates a safe and long range. 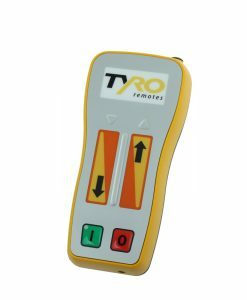 Our Tyro Remote Starter, allows you to start and stop diesel or petrol engines and the like from a distance of 350 meters. This industrial radio remote control saves you costs and ensures more efficient operation. 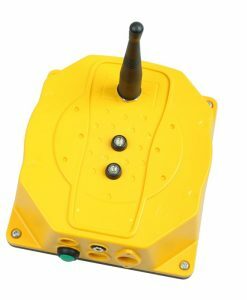 The Indus AQ Wireless Machine Stop is a radio remote control that can remotely stop conveyors, winches, pumps and hydraulic or electrical control systems. 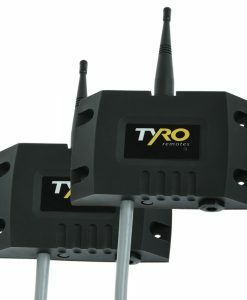 The demand for a wireless M2M set is particularly popular with Tyro Remotes. The so-called M2M system, which allows communication between two or more machines, is a reliable set with a wide reach and a response time of less than 0.1 second.